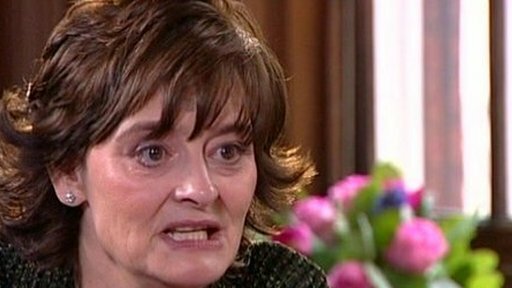 Women should see the recession as an "opportunity" to show how valuable they can be in the workplace, Cherie Blair has told the BBC's The Politics Show. The human rights barrister and wife of former prime minister Tony Blair said firms were more likely to "take a chance" on a woman during the downturn. "This is an opportunity for women... to be part of the solution," she said. Mrs Blair also said "well-funded, well-resourced childcare" was the key to gender equality in the workplace. Speaking to BBC One's The Politics Show, Mrs Blair said companies that did employ women in key positions were often more successful. She said "diverse people on the boards" tended to do better "than boards that are all full of, dare I say it, white males in suits". Mrs Blair continued: "This is an opportunity for women to show how much they can contribute and be part of the solution and not the problem. "You often find in times when things are going bad, that people are more prepared to take a chance and give a woman a chance. "It's often when business is in a crisis and it's trying to recruit somebody new and then men maybe think 'Well, I don't know whether I want to touch that', and this can often be an opportunity for a woman to come in and make a difference." She conceded that her decision to take only the minimal amount of maternity leave had not helped the cause of women's rights. "I was so determined to prove that I could be a barrister and have my children," she said. "At the time, I thought: 'I'm really striking a blow here for women's equality.' Looking back, I think actually all I was doing was reinforcing the system. "The key to this, I'm convinced, is absolutely well-funded, well-resourced childcare."